I've had this dark and dated plastic tray in our basement media room for years. The only time it was used was on movie night to serve popcorn and drinks. Not a very fitting style for a media room but it didn't work in any other room in our house and so downstairs it went. 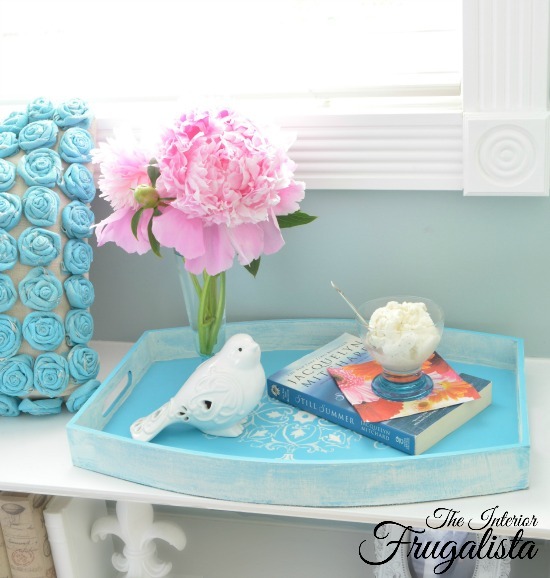 Not being one to get rid of something when it's still in perfectly good condition, I decided to give it a refresh new Summer inspired makeover that looks perfect in the master bedroom. In order to give the paint some bite, I gave it a coat of shellac. 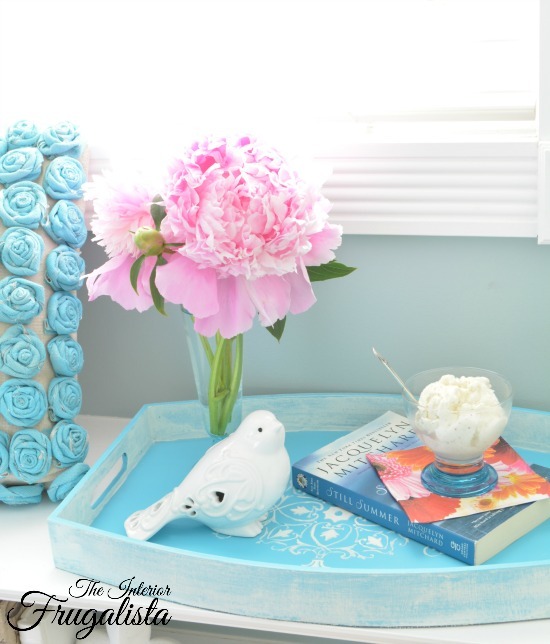 The entire tray was painted with two coats of chalk paint in the color Bliss by Country Chic Paint. Isn't it just the perfect color for Summer? 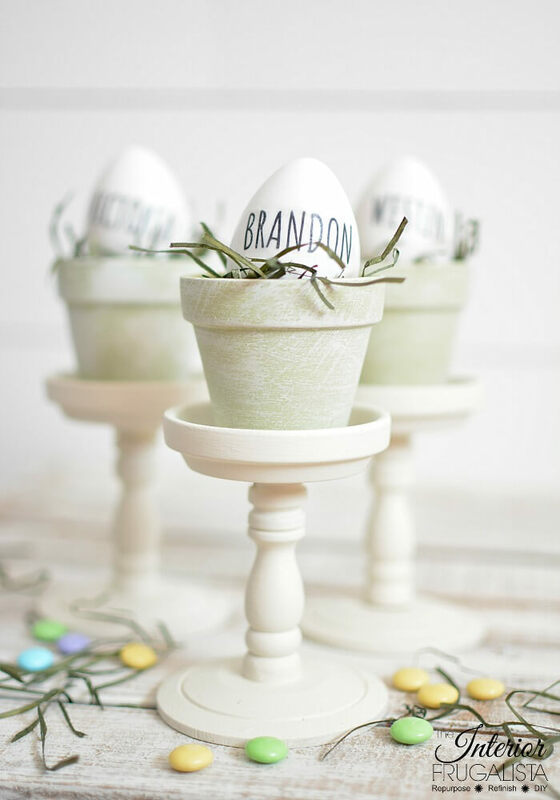 To add visual interest and texture, I dry brushed long random strokes of Simplicity White and Vanilla Frosting, also from Country Chic paint, onto the sides. 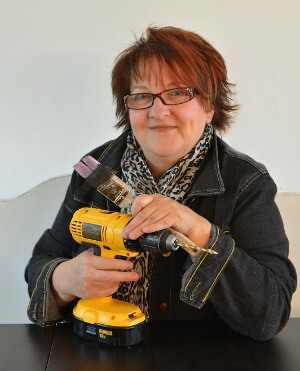 Dip just the tips of an inexpensive chip brush into the paint and wipe the excess off with a paper towel. The trick is having very little paint on the brush, hence the name dry brush. Hit the surface lightly with the brush using long and random brush strokes. 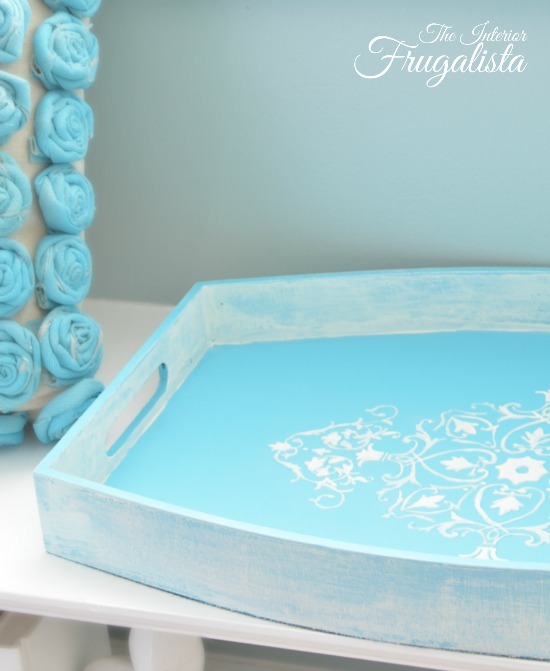 With an art brush and the Simplicity White chalk paint I carefully painted the raised pattern. 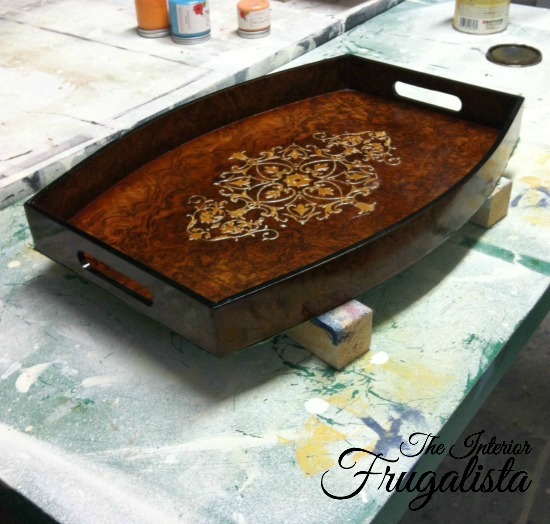 After it dried I protected the tray with two layers of clear Tough Coat, also by Country Chic Paint. 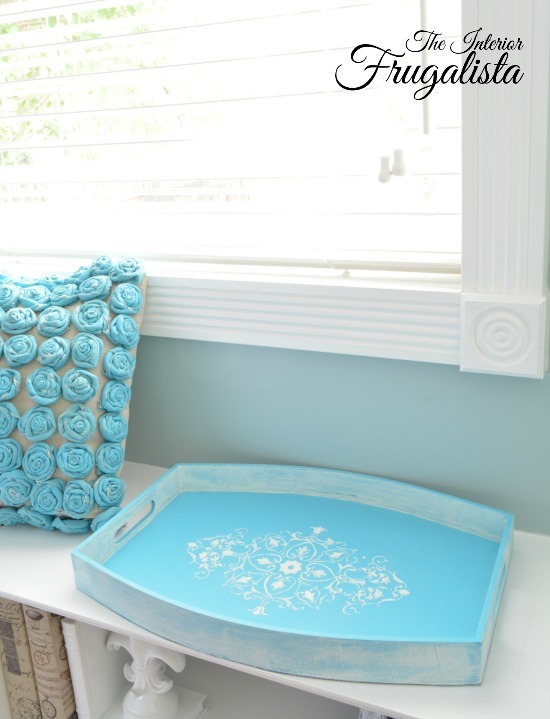 The tray is perfect beside the window seat in our master bedroom - my favorite spot to read on a rainy day. 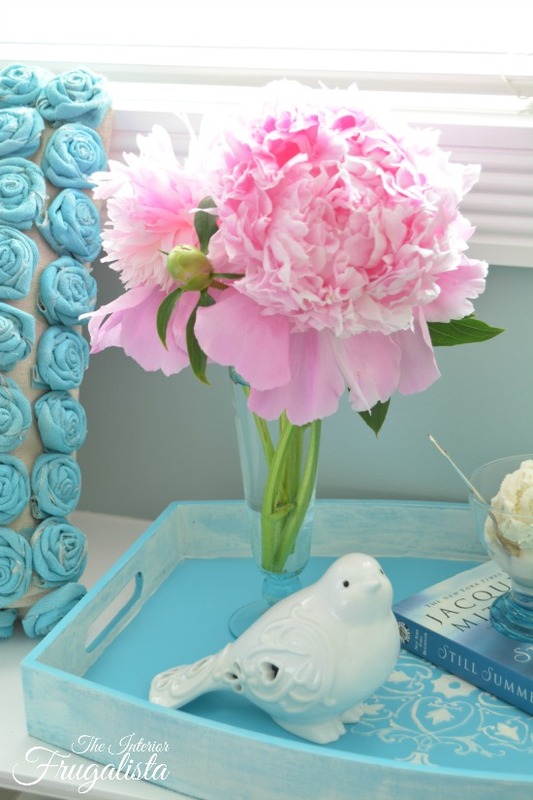 Our peonies, one of my favorite flowers in the garden, have just started to bloom and I couldn't resist adding a stem on this tray. 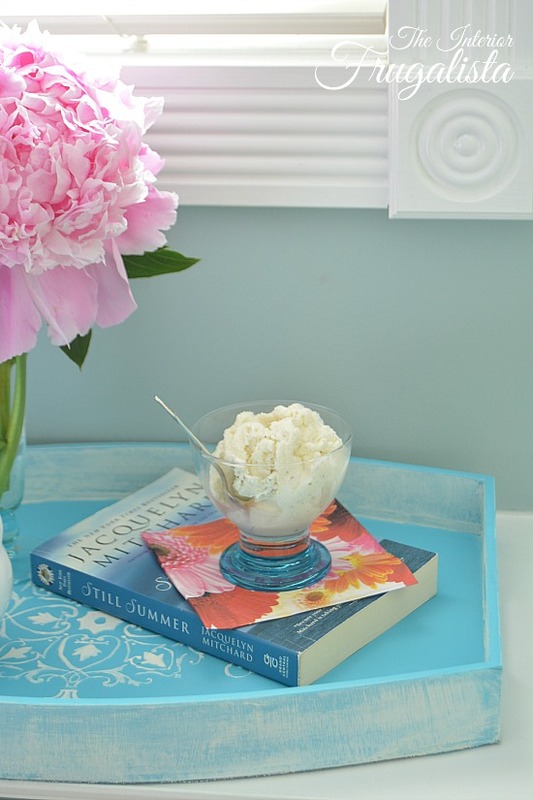 Ice cream, a good book and an afternoon spent relaxing on the window seat. 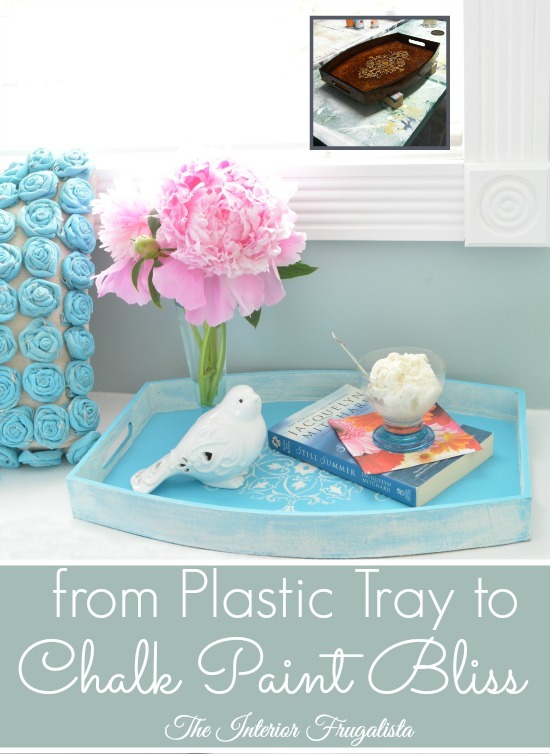 If you enjoyed this plastic tray makeover, please share it with a friend and/or save it on Pinterest. 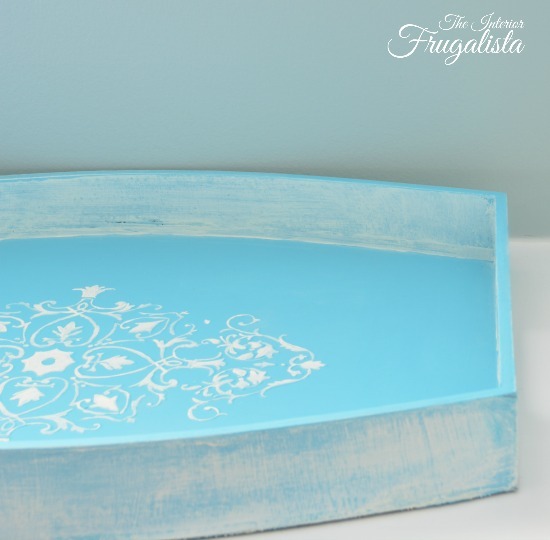 Do you have a tray that could use a fresh new look for Summer? 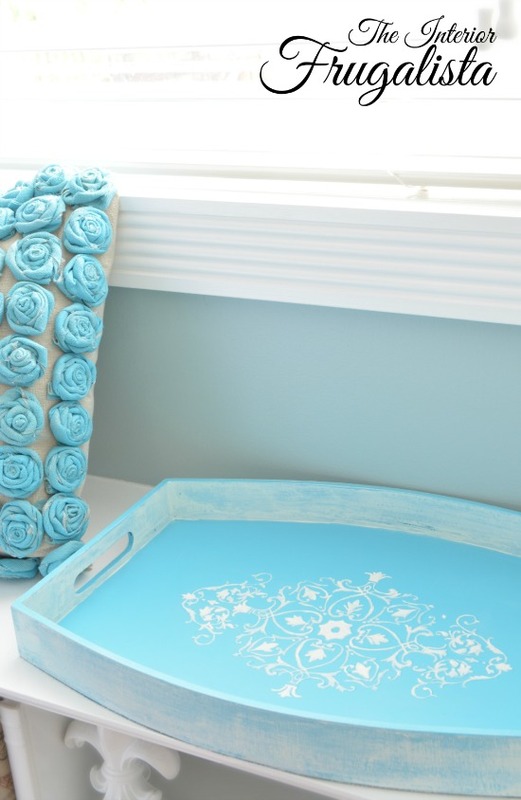 Who couldn't use more trays around the house and why not breath new life into the old ones you already have. It never ceases to amaze me how they can be dramatically transformed with paint. Like this Rustic Homestead Blend Coffee Tray or this Large Thrift Store Wooden Tray . I also turned a photograph tray Into A Rustic Serving Tray.